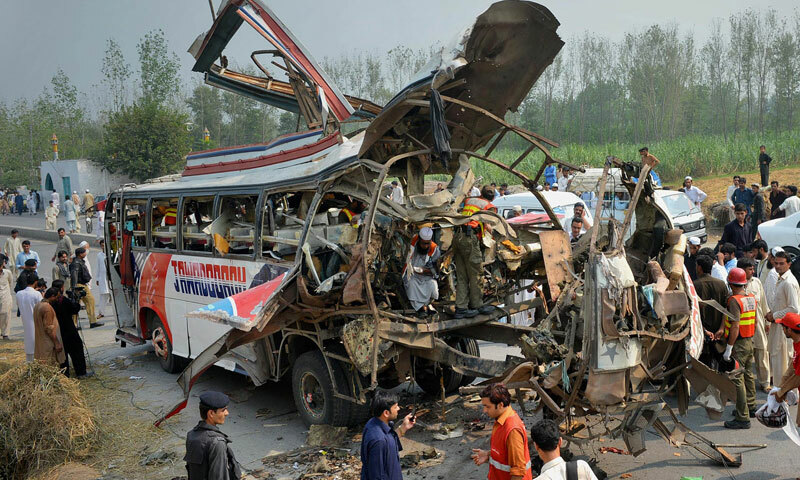 Pakistan, Peshawar Blast in Bus : 16 People Killed & 24 Injured in Explosion : On Wednesday, 16th March 2016 a bomb exploded in a bus rrying government officials in the northwest Pakistani frontier city of Peshawar. According to reports, the blast that took place near Peshawar’s Sunehri Masjid. Two women and a child were among the dead. Peshawar has witnessed various attacks on civilians as well as law enforcement personnel in the past. Bomb disposal officials said that it was a four kilogramme (8.8 pound) Improvised Explosive Device (IED) fitted with a remote control detonator and planted near the bus’s gas cylinder, amplifying the blast.